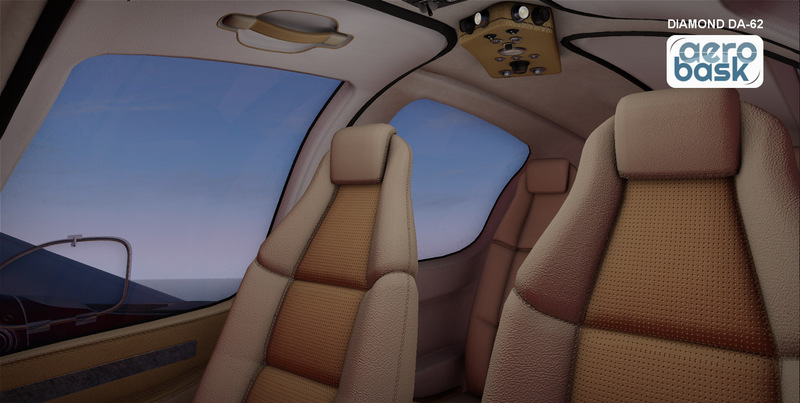 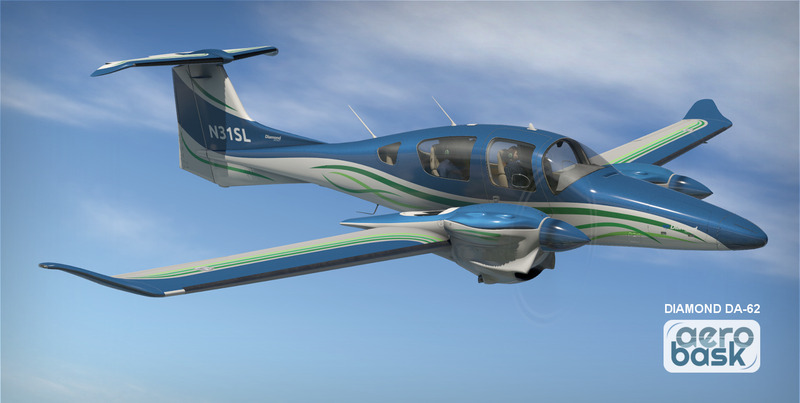 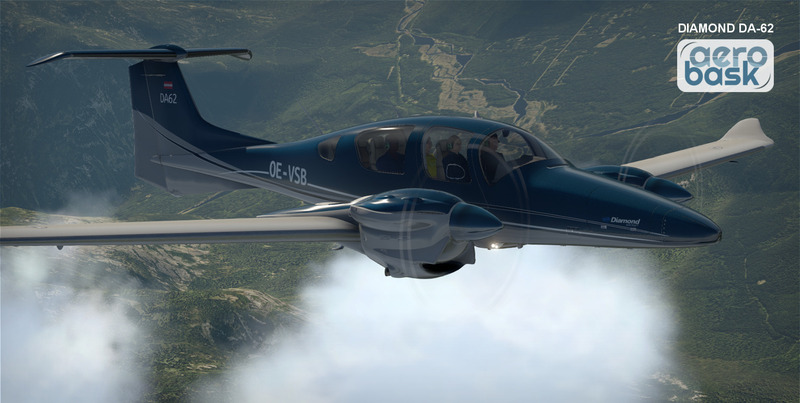 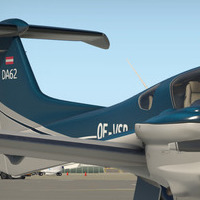 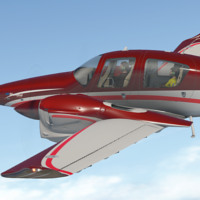 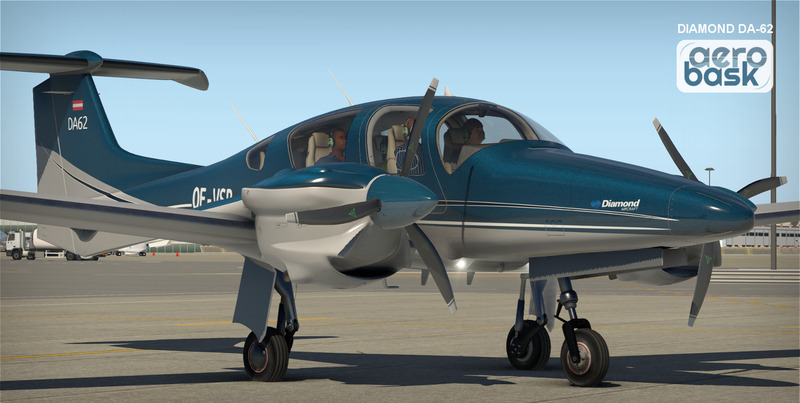 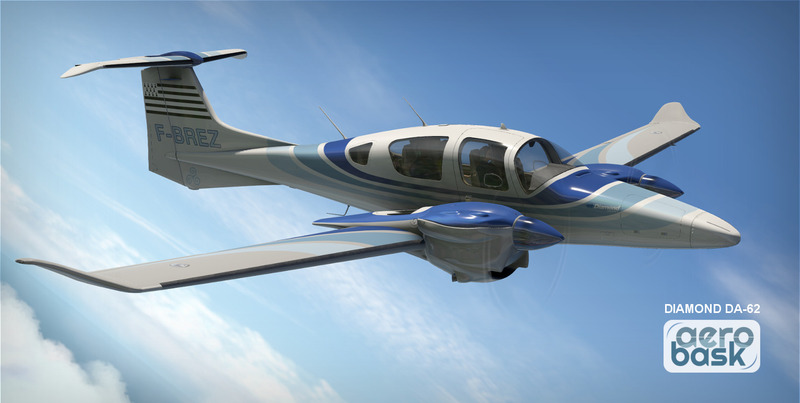 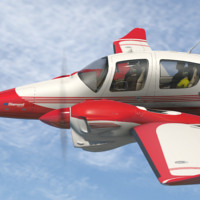 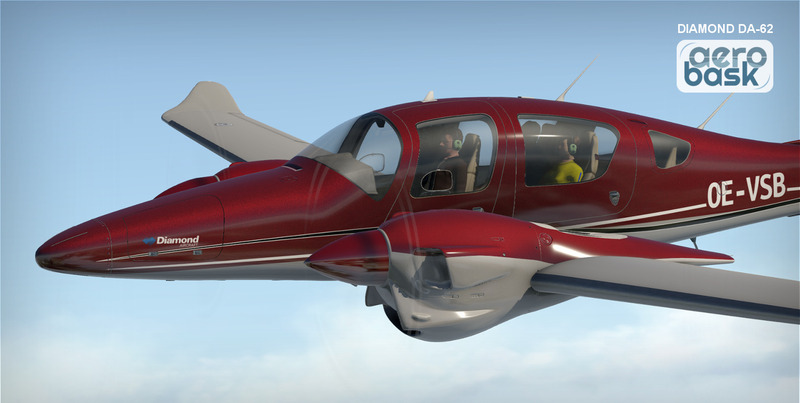 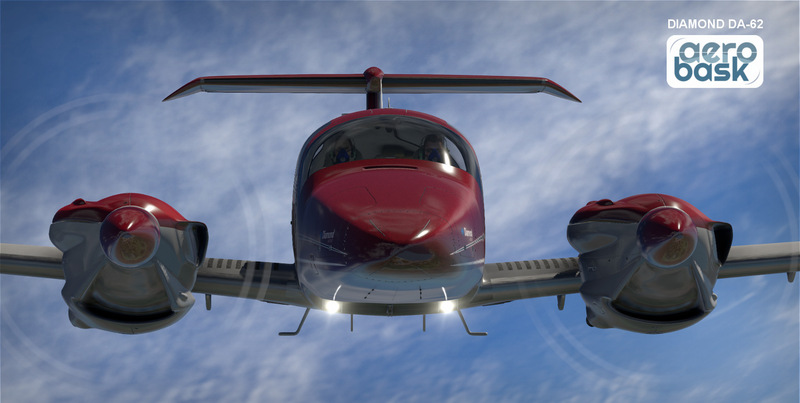 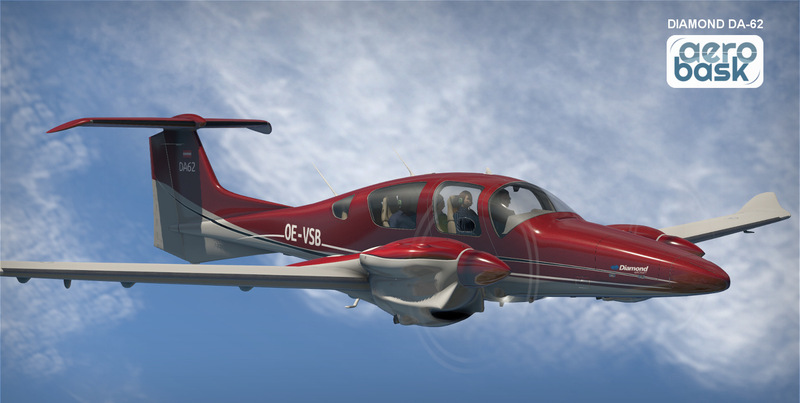 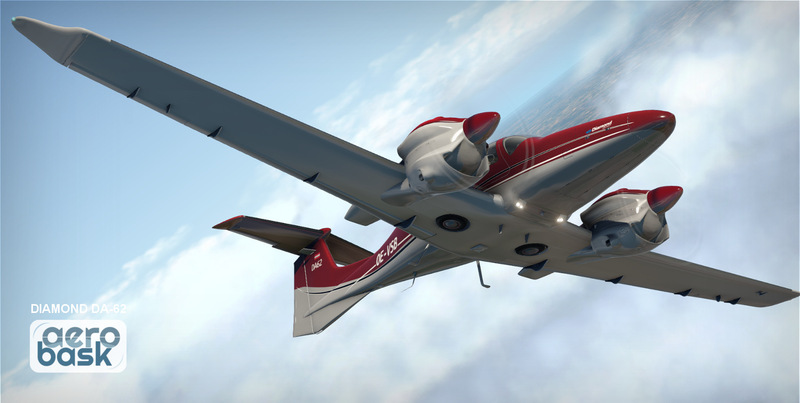 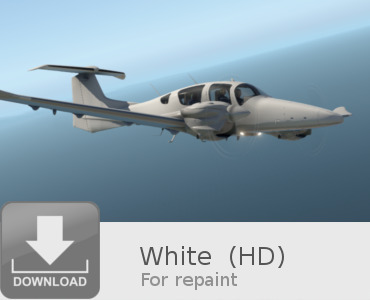 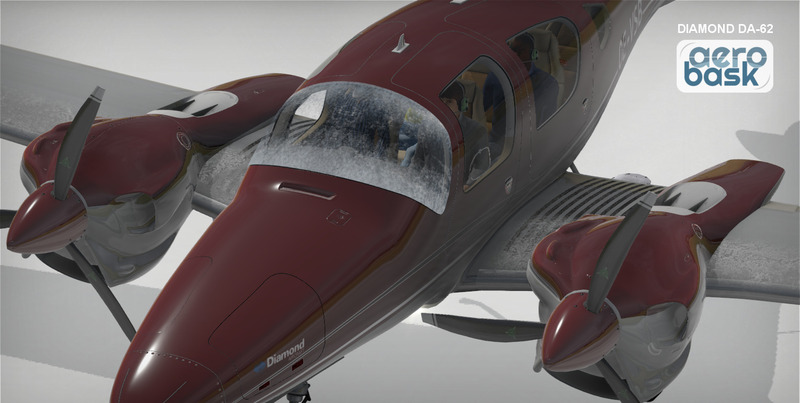 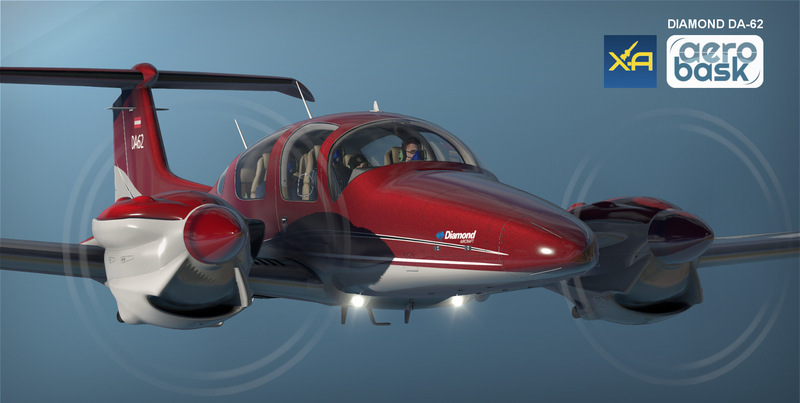 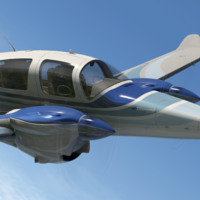 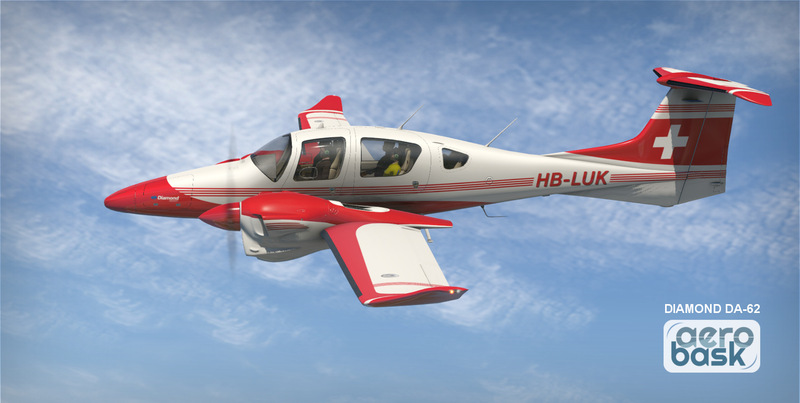 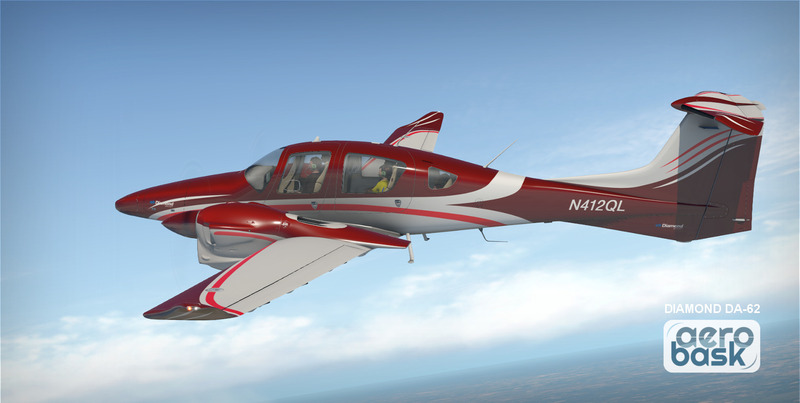 The Diamond DA62 is a five to seven seat, twin-engined light aircraft produced by Diamond Aircraft Industries. 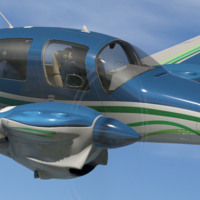 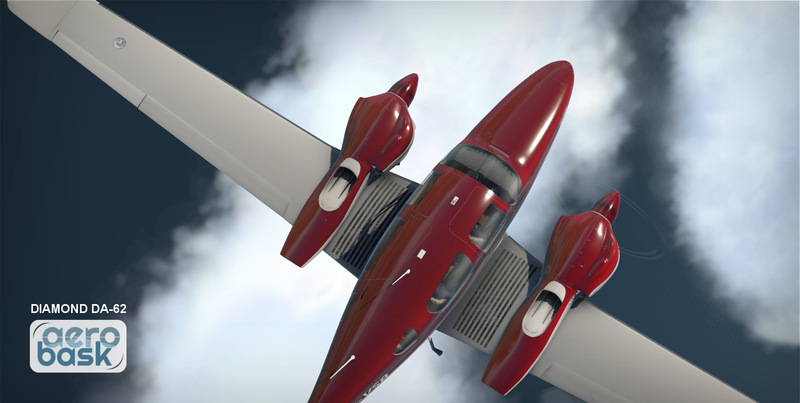 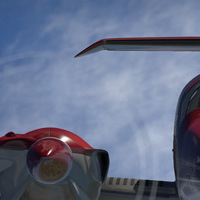 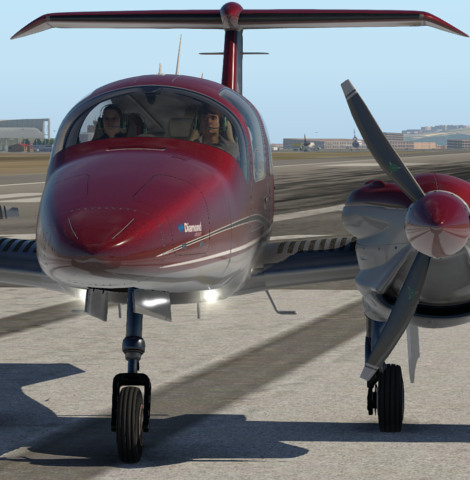 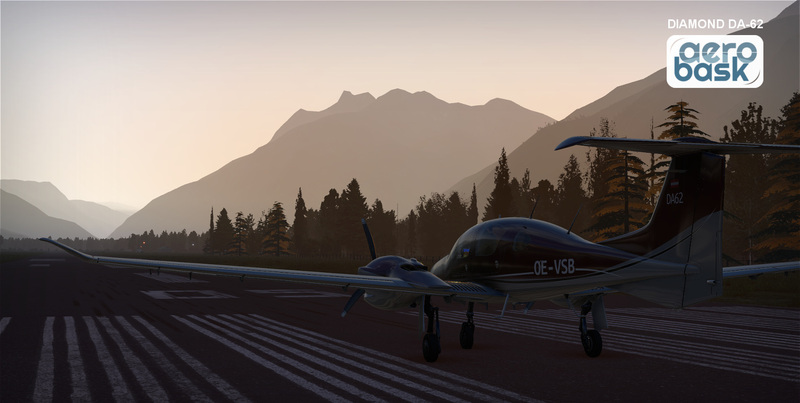 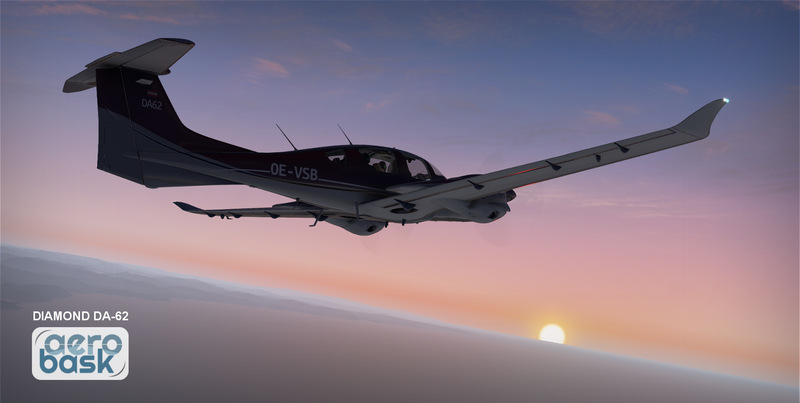 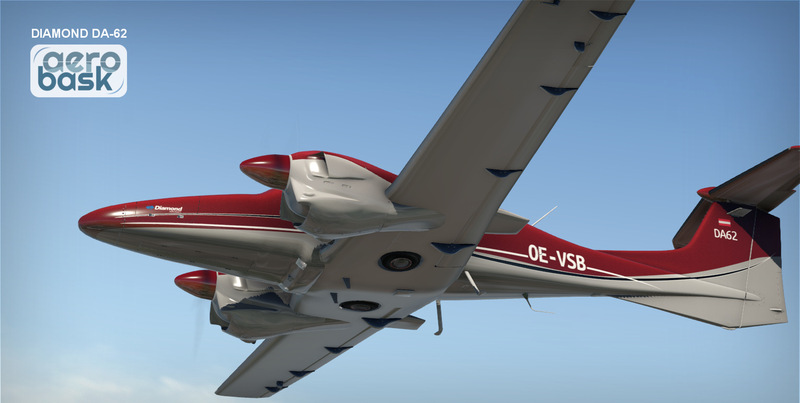 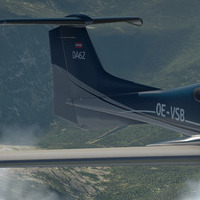 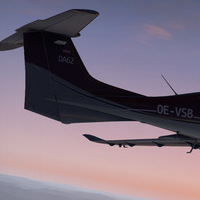 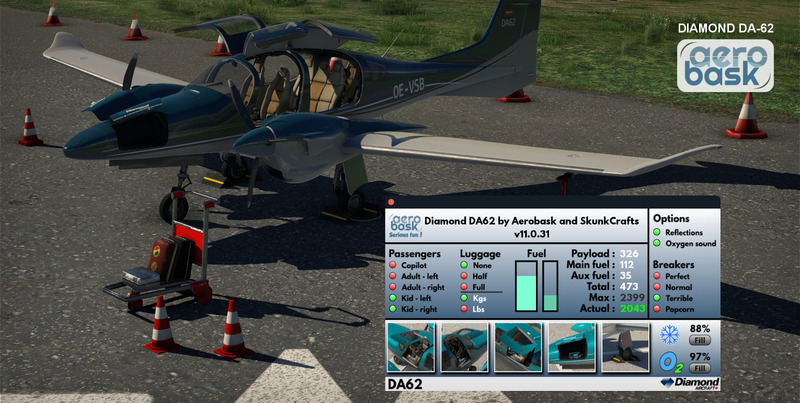 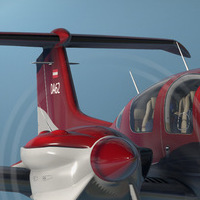 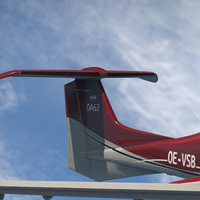 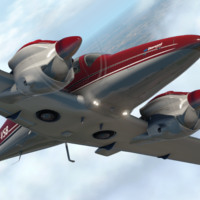 The DA62 series is powered by the Austro Engine AE330. 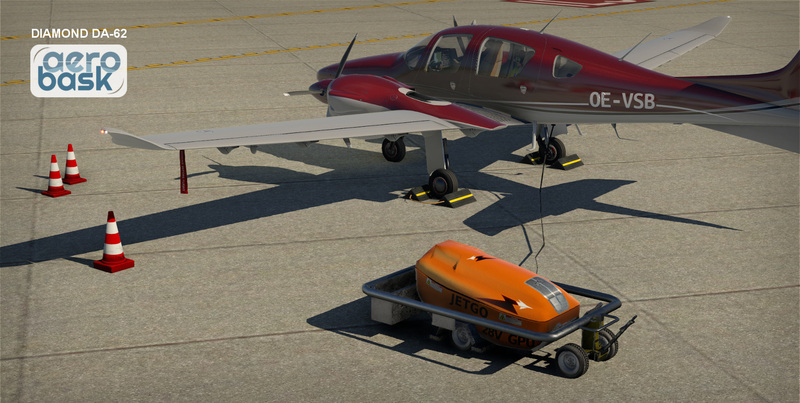 A turbocharged common-rail injected 2.0 liter jet fuel engine. 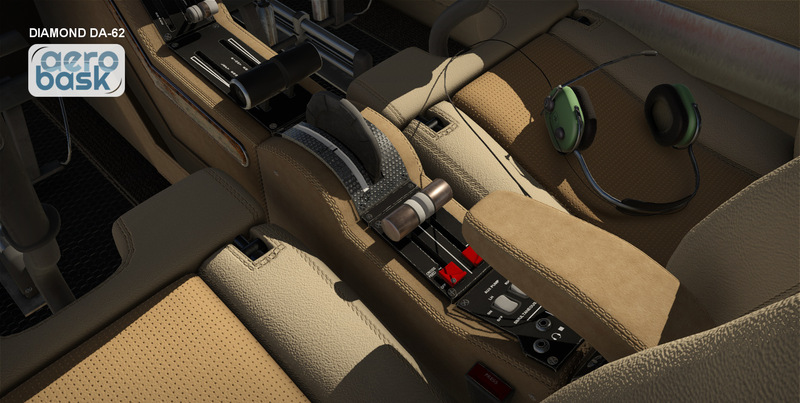 With 180 HP and EECU single lever control system. 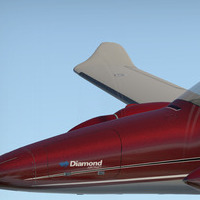 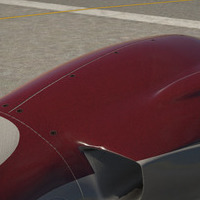 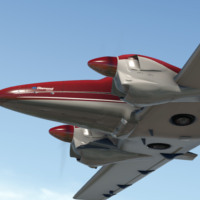 Flight model by X-Aerodynamics, very closely matching real performance (based on public data). 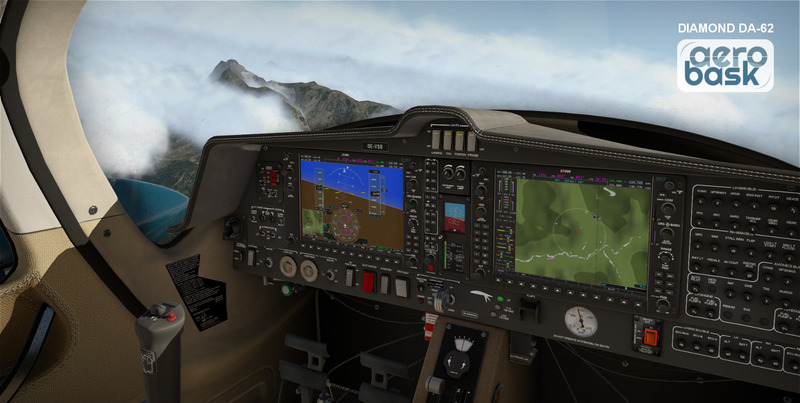 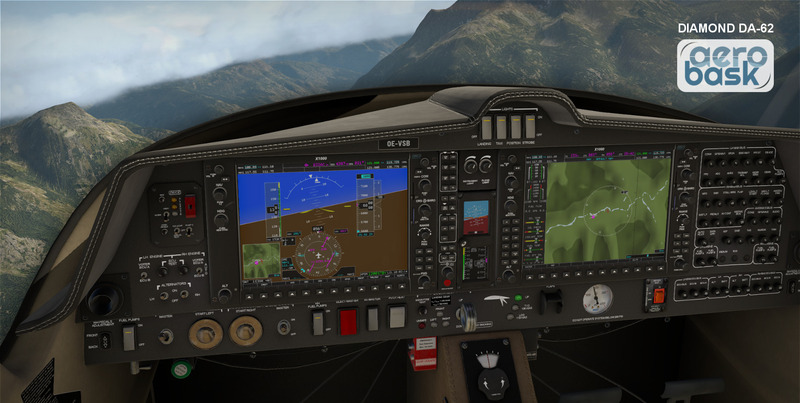 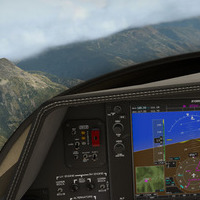 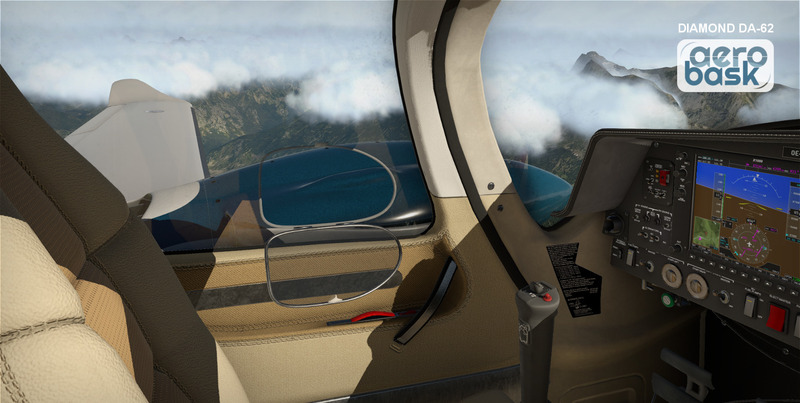 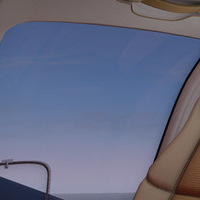 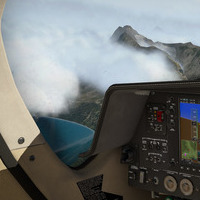 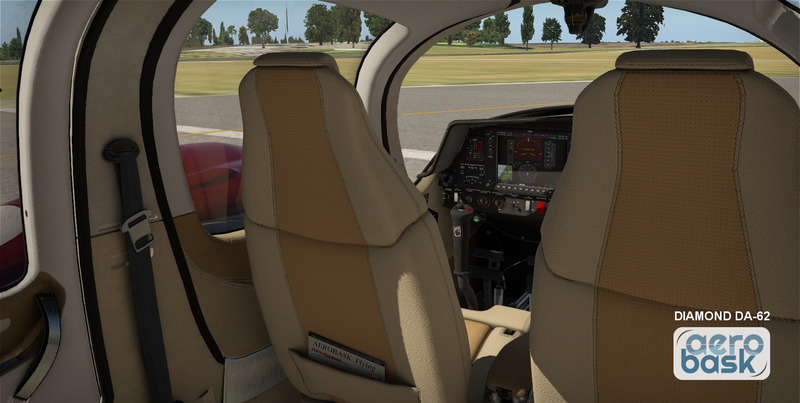 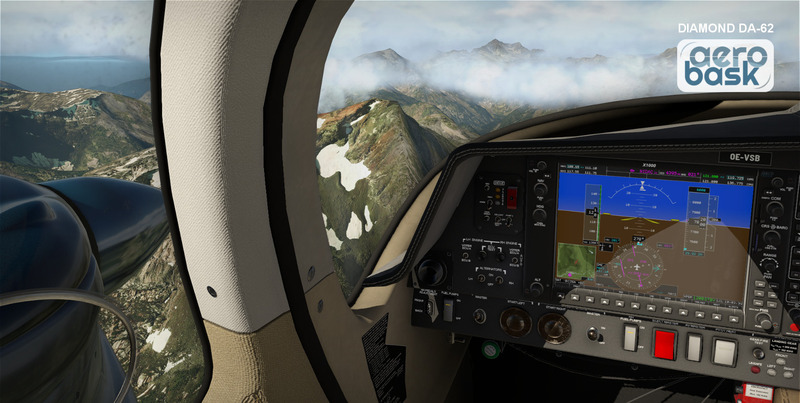 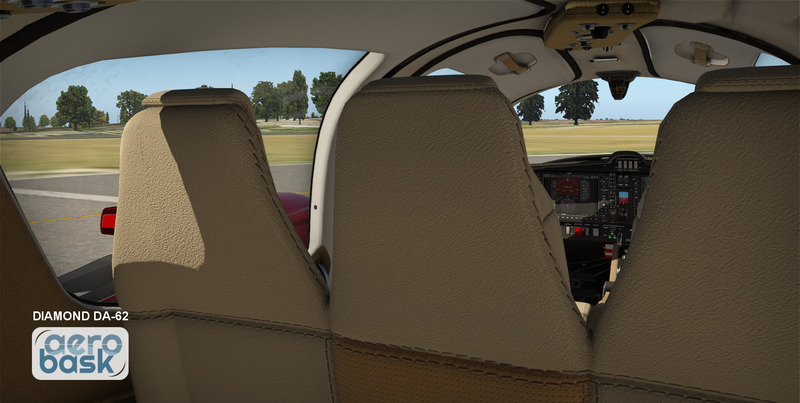 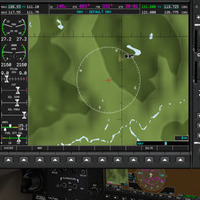 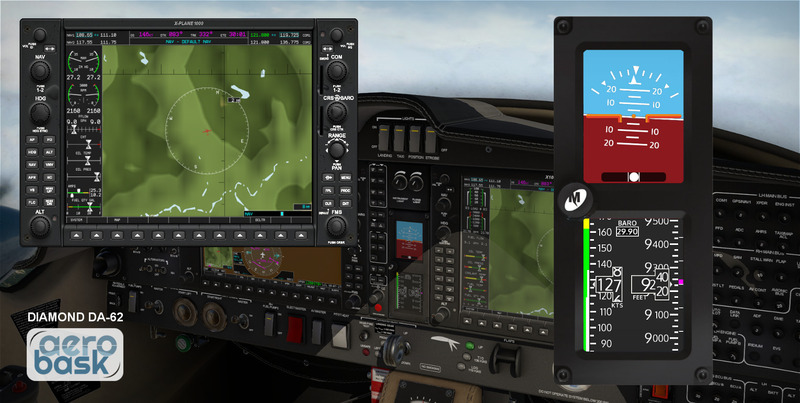 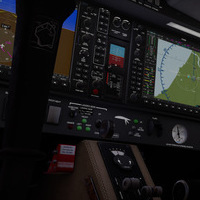 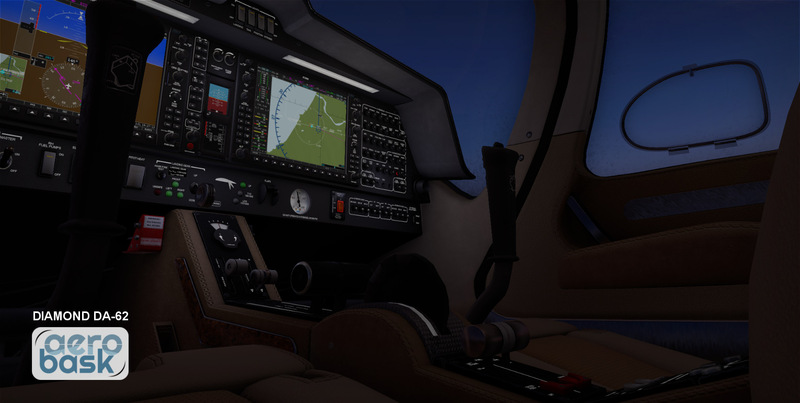 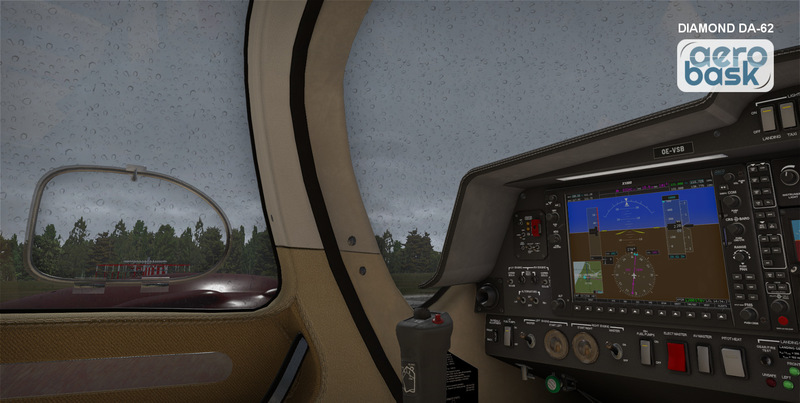 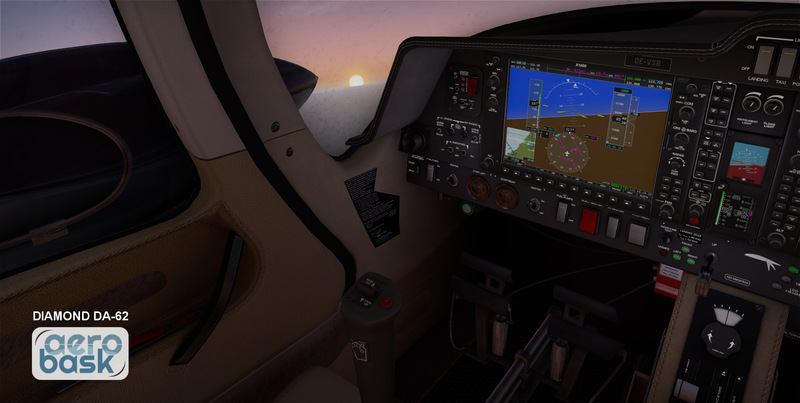 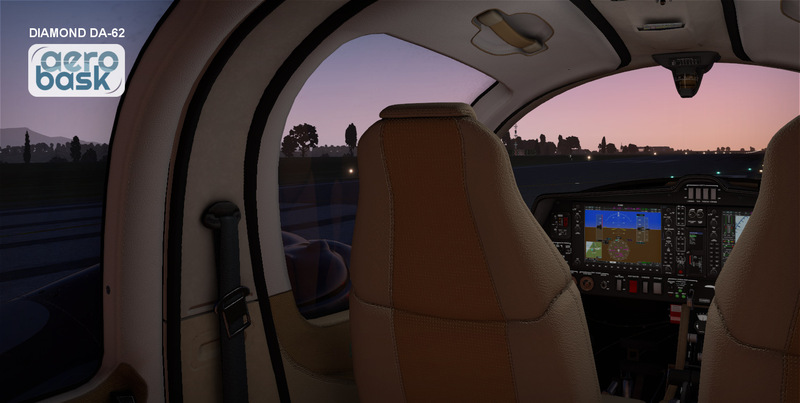 Fully Integrated Laminar Garmin G1000 with custom EIS and annunciations (In 3D only). 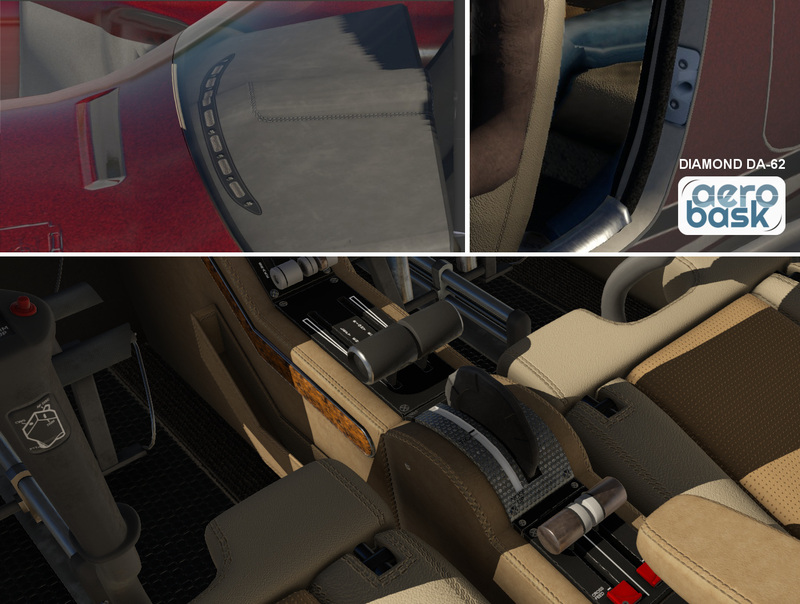 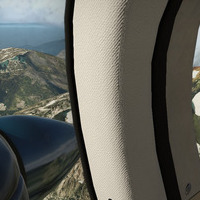 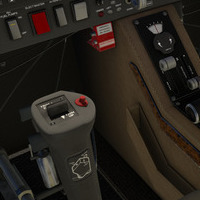 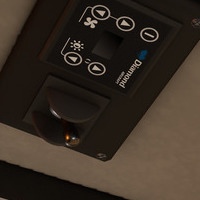 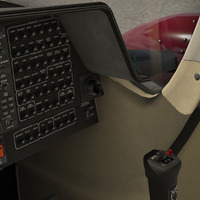 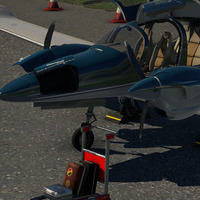 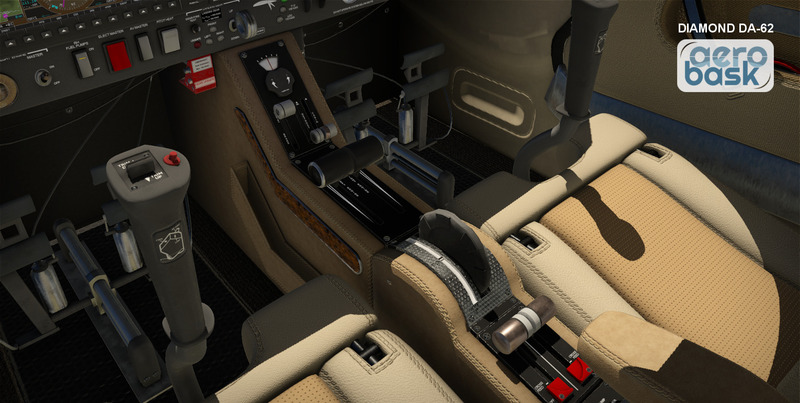 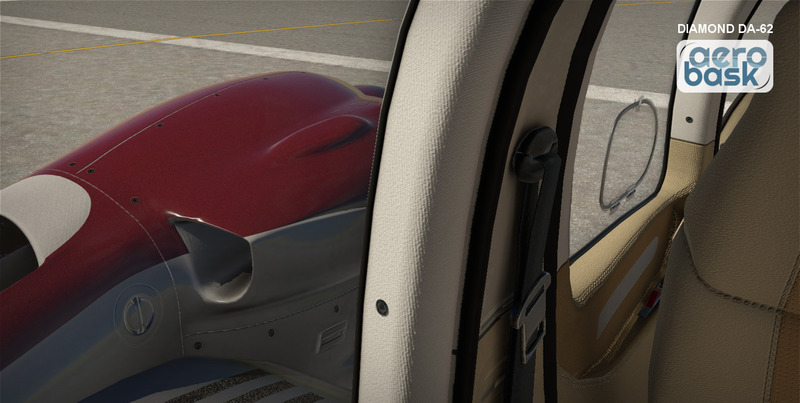 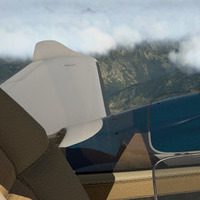 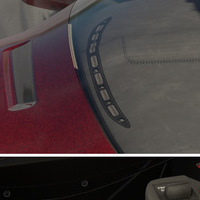 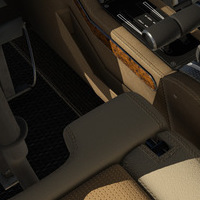 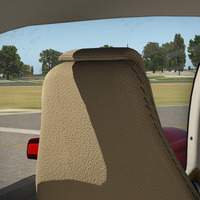 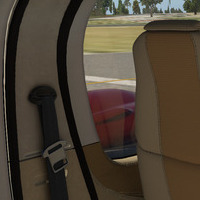 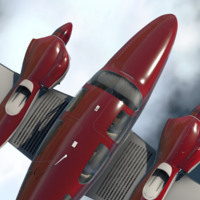 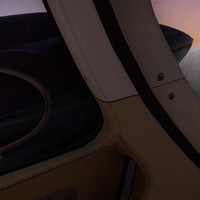 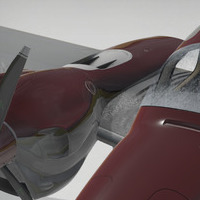 Fully functional virtual 3D cockpit, with smooth and VR-friendly manipulators. 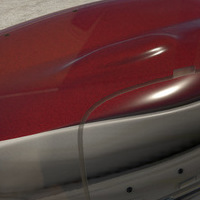 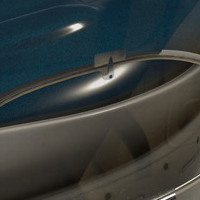 High quality 3D model with high resolution PBR textures (4K). 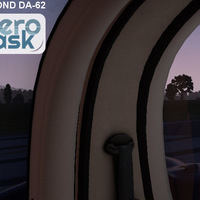 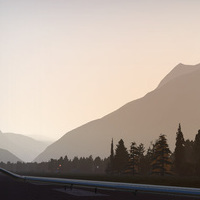 FMOD High Quality Enhanced 3D system sounds, including Doppler and Flanger effects. 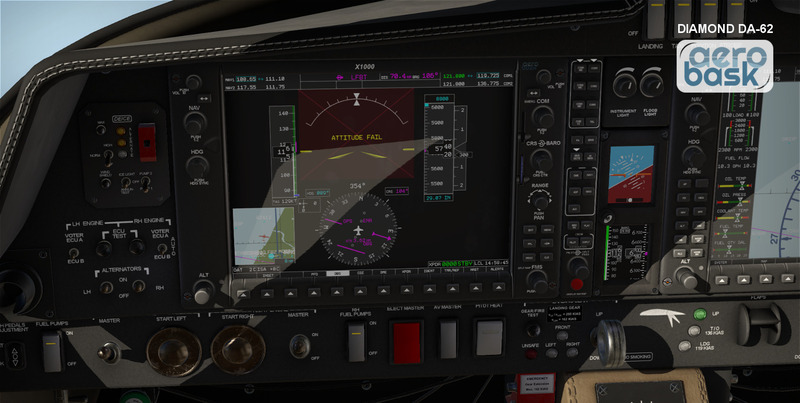 Customized FADEC/ECU with test procedure. 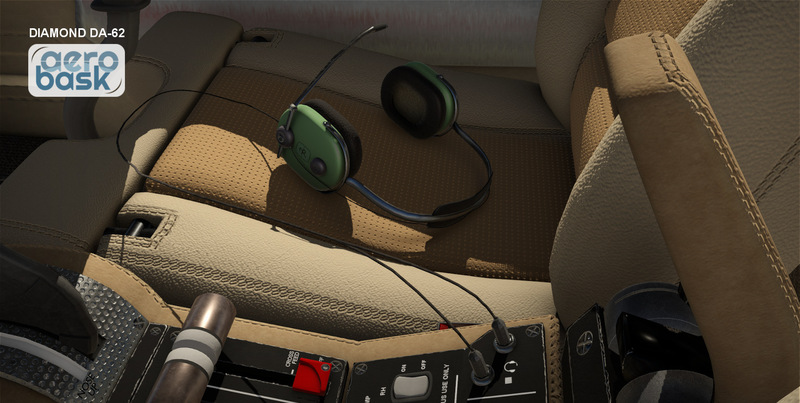 MD302: custom coded Standby Attitude Module. 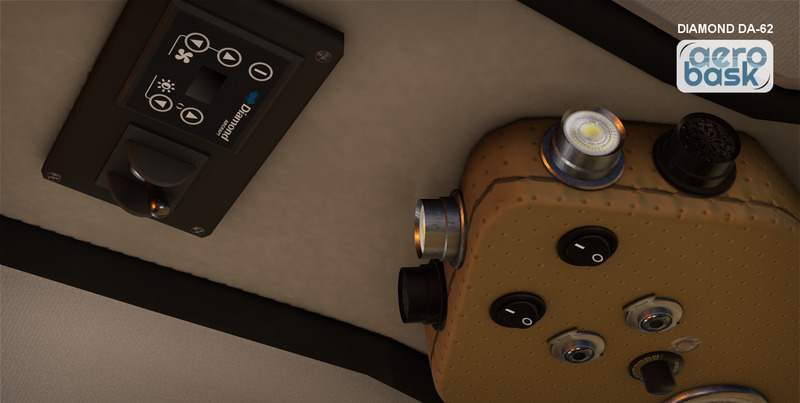 Fully functional breakers (configurable reliability). 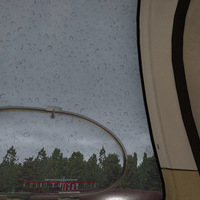 Windshield effects: reflections, rain and frost. 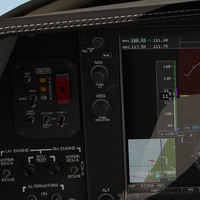 Many parameters saved between flights. 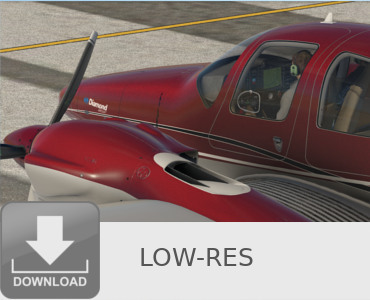 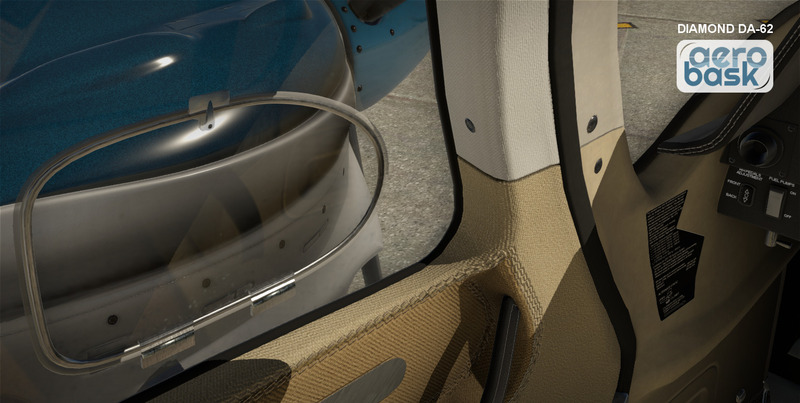 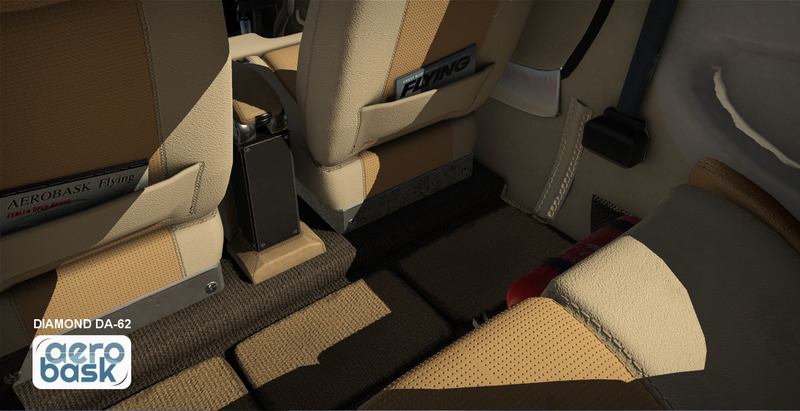 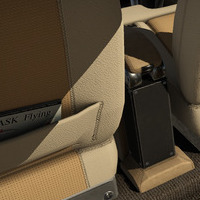 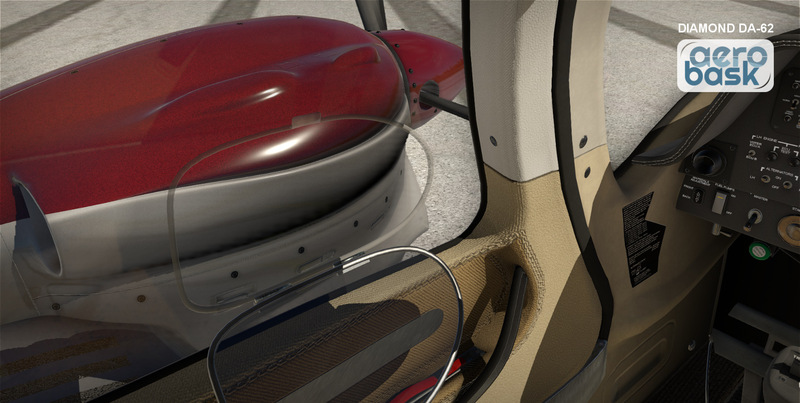 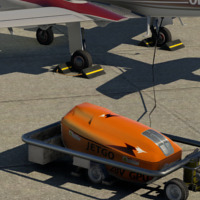 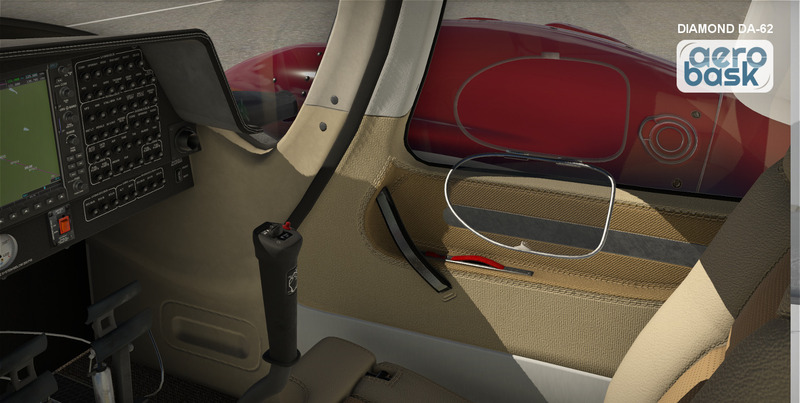 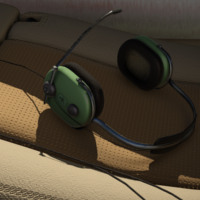 Configurable pilots, passengers and luggage.